It's pretty easy to take something like USB for granted; many products and gadgets use USB to hook up to your computer. But every so often a product might not use USB, or you are looking for a quick and easy way for a new project to connect to computers. 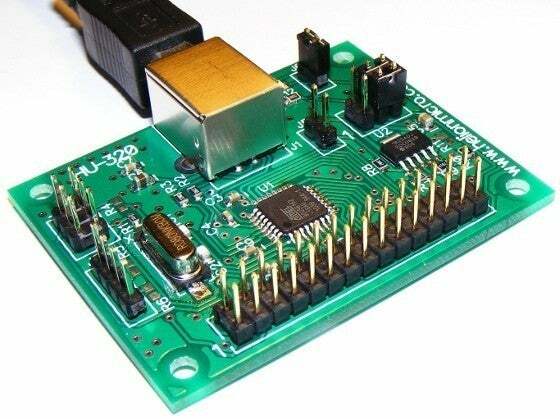 This is where the HU-320 USB interface board comes in pretty handy, and when it comes out, it might be an intriguing alternative to the ever-popular Arduino board. Joel Coenraadts' chip board will bring USB connectivity to almost anything, without you really needing to lift a finger. The board automatically sorts the hardware, software, and firmware out for you, so if you are working on a project, all you have to do is the function coding. Joel advises that the board would be best suited for projects such as home automation or 3D printer controls, as well as smaller concepts like watering systems. In addition to USB connectivity, the HU-320 offers a free, constantly updated .NET library for all your source file needs. This means that you can add extra functionality to board if you can't help yourself from tinkering. The board is currently a prototype, but you can get one for as little as $30 if you support the project's development on Pozible (an crowdfunding site similar to Kickstarter). Support will allow developer Joel to not only make a batch of boards for the first supporters using a proper production line, but continue to create them for the levels of demand. Sounds pretty helpful for those new to making their own hacks, to hobbyists looking to save time. You can get more information on the board on Joel's website, HelionMicro.